There is a way to get covered directly with a life insurance company without an agent and at your own pace; some companies even offer instant approval life insurance. Today, I am going to give you a more up to date definition of what the words direct term life insurance mean, how you can get life insurance quotes, and how you can go direct without the need of an agent. 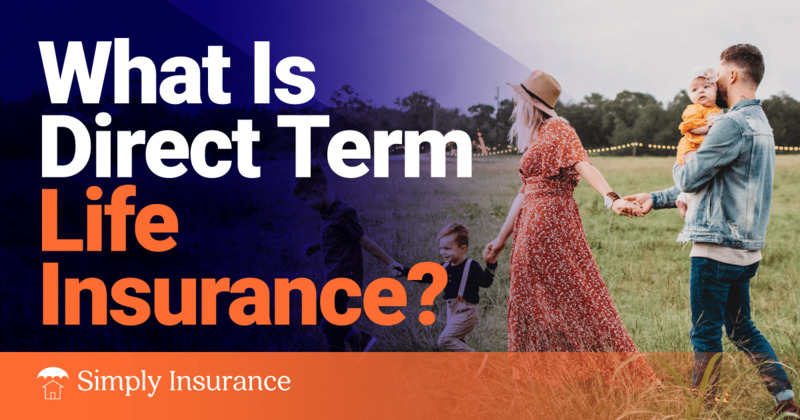 Direct term life insurance seems to have a few different definitions online; however, I think my definition is more accurate to its meaning and more modern. At its core, term life insurance is protection against loss for a specific period. The periods range from 5, 10, 15, 20 and 30 years. There are different types of term policies like level, graded, increasing, and decreasing. These products are always the most affordable and will give you the most coverage. This is honestly the most basic information you can get on term life insurance. You can check out our ultimate guide for more information on things like how long is term life insurance, or how does term life insurance work. Direct term life insurance, at its root, is a type of term life insurance product offered online where consumers can deal directly with the insurance company. You can do every step of the life insurance buying process without dealing with an agent, and you can go at your own pace. ​​​​If the speed of the application process and a fast approval are important to you, then getting life insurance with an insurance company directly will be the best decision you can make. CLICK HERE FOR YOUR FREE DIRECT TERM LIFE QUOTE! ​Below is a list of the best direct term life insurance companies. These companies are mostly new to the industry and have created a whole new space for the industry. They are one of the first insurance companies to offer the more modern version of a direct term life insurance policy. Haven Life ​has coined the term Real Rate. The Real Rate gives you the ability to apply for underwriting approval before you have to pay. This is unique because most insurance companies require payment information before you get your Real Rate. I think Haven Life is on to something with this new concept to buying insurance. We have a solid review of Haven Life here. ​Ladder Life is a newer entrant into this direct life insurance industry and have come up with a unique concept of how someone should use life insurance. They believe in a system of Laddering coverage up and down depending on your specific situation and needs. ​It’s a solid concept of how you can manage your life insurance payments based on current ​life events and I am sure it will catch on soon. We have a great review of Ladder Life here. ​Fabric Life is ​one of the newest entry into the world of direct life insurance. They offer both an Accidental Death only product as well as a full Term Life Insurance product. They offer the accidental death policy to get you in the mindset of having coverage especially when you are younger. You can then upgrade to a full term life insurance policy. We have an excellent review of Fabric Life here. These are the main three companies that are out at the moment in regards to direct life insurance, and they are changing the shape of this whole industry. ​Bestow is the newest entry into the ​field of direct life insurance. They offer ​the ​only true No Exam life insurance product in the market place. They created an in-house underwriting technology that allows for underwriting and approvals as fast as 5 minutes. We have an excellent review of ​Bestow here. The direct life insurance industry is wide open. 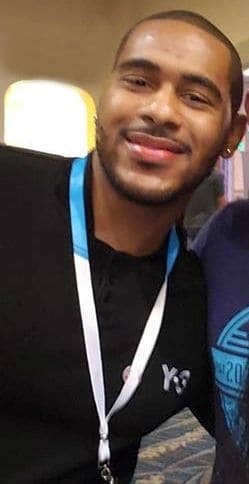 The companies that I mentioned above are some of the pioneers of this industry because of the technologies that they created surrounding their life insurance products. Several life insurance companies are entering the arena now like Sagicor Life with their Sagicor Now product and Bestow with their Instant Life Insurance products. Currently, these are the only two companies that plan to offer both direct and instant coverage online. This means that not only will you be dealing directly with the insurance company, but you will be able to get a quote, apply online and be covered before the end of the day. I can see the Direct Term Life market growing fast, and more companies will eventually follow suit. I will continue to update this post as more companies like Bestow & Sagicor start to push their offerings more. The fastest way to get the direct term life insurance quotes is to use our quote tool on the right side of your screen. The fastest way to get the direct term life insurance quotes is to use our quote tool below or by visiting our term life insurance quotes page. Either way, choosing a direct term insurance policy will help keep your family covered, speed up your approval process and give you a direct line to any answers you may need.